Crocheted gifts are incredibly romantic. Whenever you make a gift for someone, don’t you find yourself thinking of them and what they mean to you, smiling as you stitch and imagining their delight when they open it? All of this fills the gift with positive energy and the love you have for them. Giving the gift of handmade offers so much more more than picking out an item and spending money. By giving a handmade gift, you are giving of your skill, your time and effort and your loving care for the receiver, which is pretty romantic, if you ask me! On Valentine’s Day, we tend to focus on sweethearts, spouses or romantic crushes, but take a moment to think of the other valentines in your life, the ones whose love is supportive, steadfast and always with us. I’m thinking of our moms, sisters, daughters and BFFs, those who understand, who help and who encourage us through life’s turbulence. 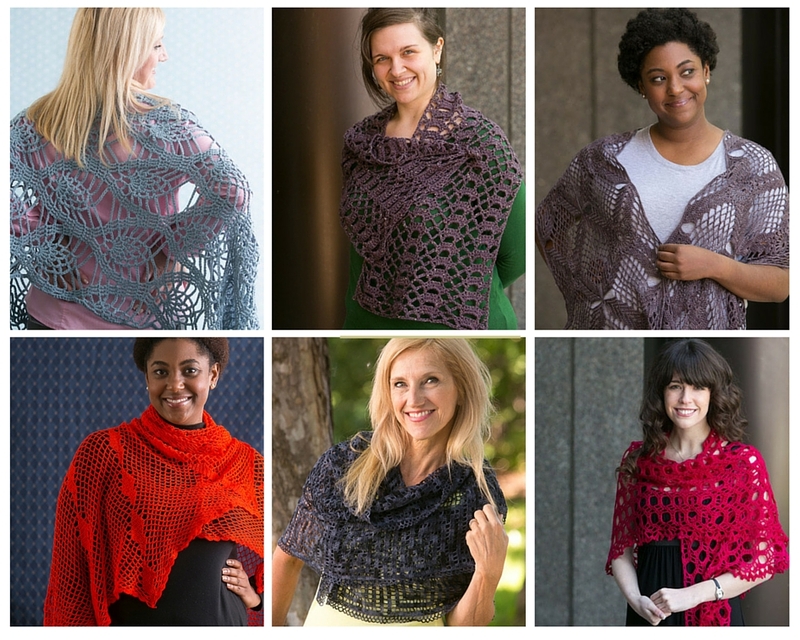 This year, consider making a romantic, in the crocheted sense, gift for one of these wonderful women in your life. 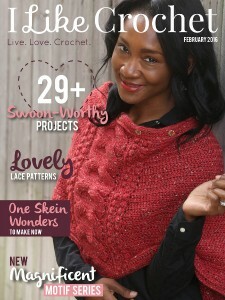 Crochet’s romance is also found in the fact that it is still not machine-made. At the industrial level, crochet-look fabrics used in fashion and home décor are actually woven on traditional warp-and-weft looms or knit on knitting machines from long rows of spiny needles. Neither of these mechanical processes resembles the look that using a single hook that pulls one loop through another gives. In today’s mass-made world of products, crochet is one thing that still requires the touch of your fingers (beyond the pushing of a button) to exist. More than just your hands, a crocheted gift requires a heart and a soul that seek to make something beautiful for someone special. I wrote Poetic Crochet: 20 Shawls Inspired by Classic Poems because I wanted to celebrate the romance of crochet, combining inspiring crocheted projects with poetry expressed on a canvas of twenty crocheted shawls. Each design was inspired by some element of a classic poem like a phrase, an image, a color or even a loved poet, working its lyrical quality into lovely crochet stitches. Hats keep us cute (and warm), pot holders protect our fingers and dishcloths are cheery, but there’s something about a shawl that is inspiring to make and elevating to wear. They are luxurious, showcasing stitch work and enhancing any outfit. Shawls make wonderful gifts because there is no worry about body sizing and every time the recipient puts it on she will feel wrapped in your crocheted hug. The style can range from the everyday chic of a casual wrap that wards off a chill to the heirloom lace of a gossamer wedding shawl that will be treasured for years to come.